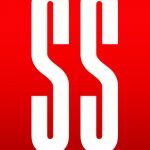 When your dealership is facing stiff competition, the difference between success and failure comes down to two elements: you’ve got to stand out from the competition to get the consumer’s attention, and then you must treat them right, so those customers not only buy from you, but return to your dealership in the future. 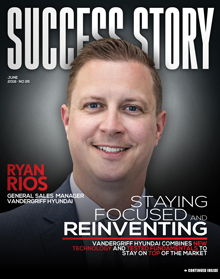 For Ryan Rios, general sales manager of Vandergriff Hyundai, those two tasks are foremost in his mind and in the minds of his team. The dealership, located in Arlington, Texas, faces competition from all sides and from all makes. Even though the Arlington area is growing, Rios knew that, with this level of competition, his store needed to keep on top of both its marketing efforts and customer service dynamics. Those efforts, both what goes on inside the store and the messages it sends out to customers, had to be both effective and efficient. Focusing on those efforts is paying off. So, what is Vandergriff Hyundai’s blueprint for success? Upon taking his position in 2015, Rios said that his first goals were to make the most of the things that matter, and that were under his team’s control. “One of our main strengths is that we just outwork everybody,” he said. “Our store, on average, will make between 9,000 and 11,000 calls per month.” That effort, he said, gets his store noticed by those in the market for a vehicle. When his store makes the calls that the others don’t, it’s an advantage that’s difficult to overcome. In order to get customers into the store, it’s necessary to let them know that Vandergriff Hyundai is ready to meet their needs, and also to educate them not only about what the dealership can do for them but answer questions they have — or might not even be aware they have at that moment. Rios knew that having a strong, consistent marketing message was necessary to stand out from the crowd; he also knew he needed assistance in putting that message into motion. 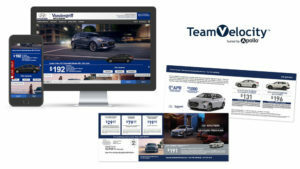 After recognizing the need for outside expertise, Rios and his team began the search for a marketing partner, and ultimately chose Team Velocity for their messaging needs. A major component of a properly executed marketing strategy is to ensure your message is getting to the audience most interested in receiving it. It’s a simple notion, but one that can be difficult to put into practice. Another area that Vandergriff Hyundai has been able to take better advantage of after bringing Team Velocity on board is selling customers out the service lane by presenting them with options to upgrade their vehicle. In addition to hiring a buyer who goes out and makes informed decisions on which pre-owned vehicles would be right for Vandergriff Hyundai’s inventory, the dealership also treats people who might be in the market for a used vehicle the same as those who might buy new. Vandergriff Hyundai’s results from their increased marketing and data mining efforts have been encouraging, but Rios knows that focusing on the fundamentals is not something his team can ever back away from. “There’s always a new dealer out there who’s looking to be an up and comer,” Rios said, “and you’ve got to either hold them off or reinvent yourself to stay relevant in the market.” By staying up on current trends and technology while not forgetting how important it is to treat customers right, Vandergriff Hyundai is doing what it takes to stay on top. Click here to view more solutions from our Success Stories.